Need improve the concentration and productivity levels in your office? The office pod is the answer. In the average workplace there are a multitude of activities going on at any one time. Look around your office and notice small groups of people having discussions (collaboration), chatting in the kitchen or common areas (socialising), larger gatherings working through the agenda in a meeting (larger scale collaboration) - and those at their desks trying hard to concentrate with all the activity going on around them (focus work). Throughout the course of a single day, workers engage in many different activities. 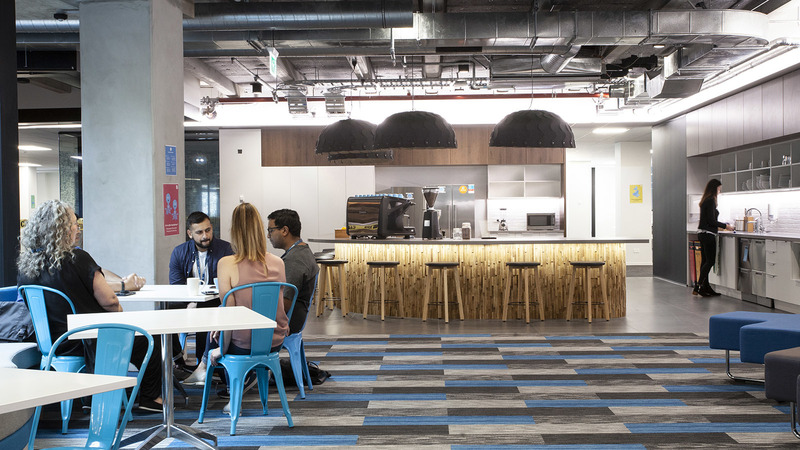 Successful organisations realise the need to provide spaces that allow employees to work in the most productive way for them. 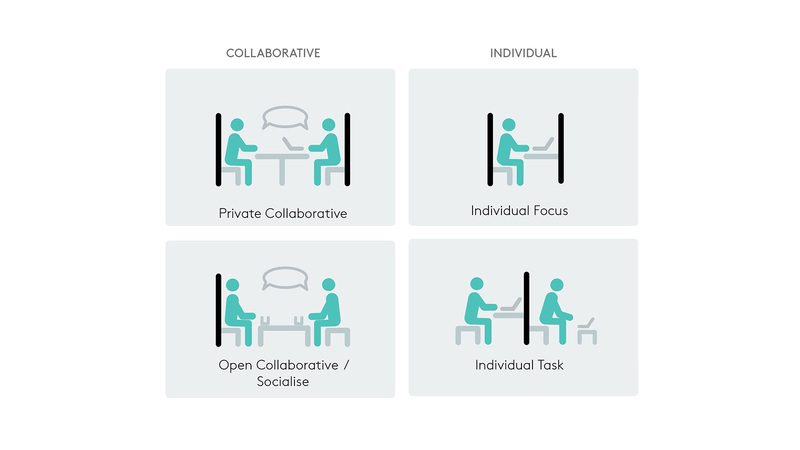 This means giving the collaborators a place to do so comfortably, without distracting others trying to focus. Focus workers need easy access to areas where they can have peace and quiet for as long as they need it. These two work activities need to be insulated from the noise in social areas. How can you easily and cost-effectively create a personal space in a public office without building walls? What is the alternative to multiple meeting rooms in an office with limited floor space? And how can this be achieved whilst still providing an experience that is positive for the user? It is possible to find a solution without going back to the much vaunted office cubicles of the 80s and 90s. Technology has advanced and now office pods are available that are lightweight enough to be portable, have the capability to absorb noise and are ergonomically designed. Pods offer users the chance for some visual and auditory privacy without the need for a meeting room or private office. They only take up a small amount of floor space and can be moved around the office as needed. Research shows that people focus best when there is a low hum of noise around them as opposed to a silent environment. The best pods incorporate sound dampening treatments to further insulate users from noisy distractions without excluding all noise completely. Given that we perform focused task work for more than 50% of our day, single user pods are a good investment for workers to touch down in for periods of time. They create a portable, private space within your office. In a noisy office with little privacy, a booth to escape for a private phone call can be essential. 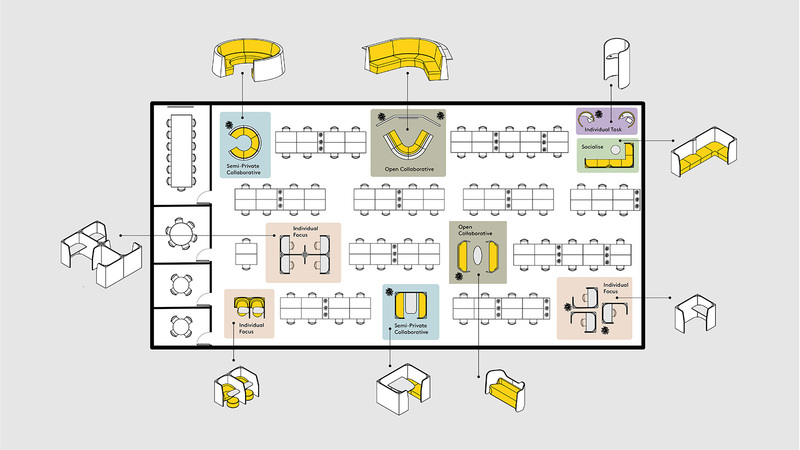 A booth with seating for two, four, or more can optimise space by providing a place for collaboration, reducing the need for formal meeting rooms which take up valuable real estate on the floor plan. 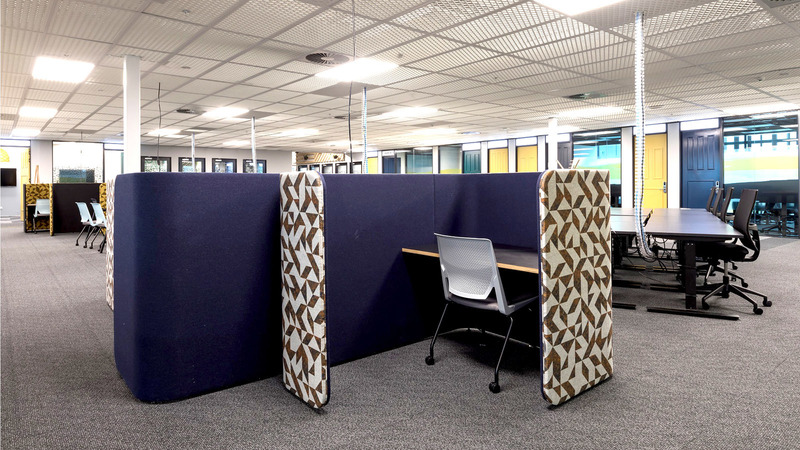 If there is a need for greater noise control, pods are available with acoustic treatments such as nanofibre fills to absorb noise and provide a quieter working environment. Add an acoustic light above the pod to create an even more peaceful environment. The beauty of these spaces is that they can be moved or in some cases reconfigured for a different purpose as the needs or numbers of users change. Pods can be grouped in communities according to requirements and space. There are a range of pod options for every budget. Select according to size, style and acoustic requirements. The greatest advantage is that office pods give employees the freedom to work how they please – which makes for a more enjoyable employee experience. With evidence that this links directly to increased creativity and productivity, this is surely a benefit for any business. Learn more about our work pods. Are you maximising future productivity in your office?